First time I see him was Ivanhoe,his first TV series,before the Saint. He started out modelling for knitting patters. I believe my Mum still has some! I just switched on BBC "News" chanel an they were talking about him. I thought there was goiung to be a new Bond film or something, then saw he's died. 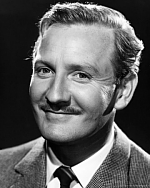 Good innings as Dolls says for a man at 89 though. Nahh Sean Connery was THE best ever. I thought Roger's best outing was Live and Let Die. Great soundtrack also. But it was all about the cars/women/money in the script, plus the Barry tune. Live and Let Die had many redeeming features, and Jane Seymour was a stunner. Roger returned in The Spy Who Loved Me with the most iconic car of the 70's, complete with killer title track from Carly. As others have said, Bond was better done by others. How old is Sean/Timothy btw ? I used to love the persuaders.. Dolls wrote: I used to love the persuaders..
Did you know Sir Wilfred ? A Bond that made the utterly ridiculous Bond Movies worth watching and general all round Great English Gent. I can do the Roger Moore eyebrow thing. The only difference is that he did it with his left and i do it with my right. Oh... and i am better at it and sexier than him. Especially now he is dead. 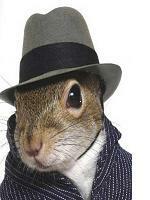 Mr Squirrel wrote: I can do the Roger Moore eyebrow thing.